The ancients selected the division of 360 degrees for a specific reason. 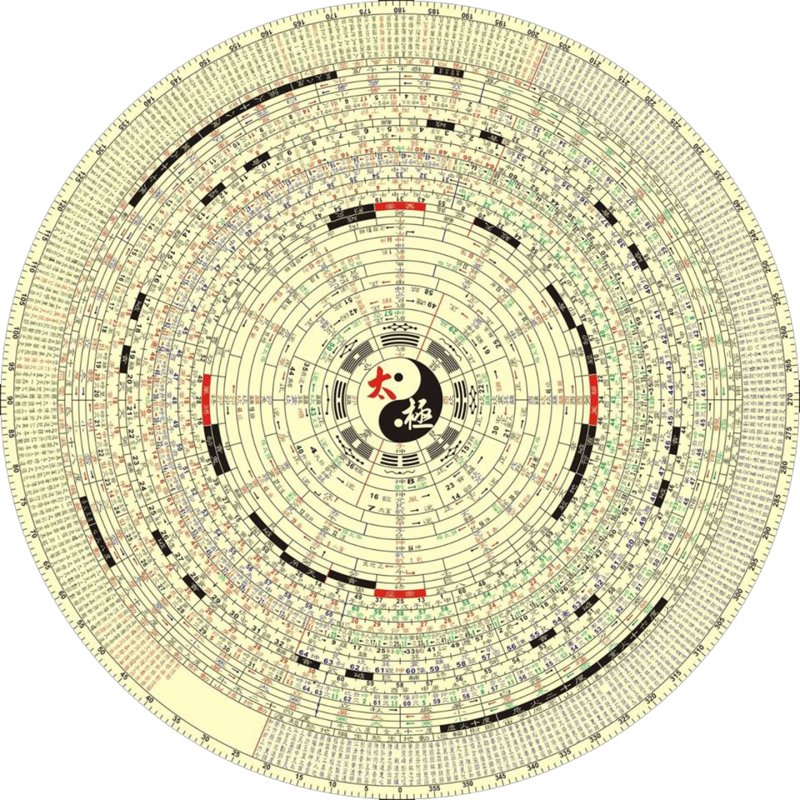 (Observe the outer ring of this complex Ying-Yang Chart having specifically 360 divisions). The factors of the number 36 are: 1, 2, 3, 4, 6, 9, 12, 18, 36 indicating that it has an unusually large range of divisors and therefore more friends with other numbers. All these numbers divide neatly into 36 and compared to other numbers upon examination, it is high on the scale of divisibility. Another important geometric fact regarding circles, harmonics and Triangles, is the relationship of the 360 to an important triangle that has links to the Divine Proportion. There exists an ancient pre-Babylonian, pre-Egyptian right-angled triangle called the Pythagorean 3-4-5 (where 3x3 + 4x4 = 5x5). If you multiply each side of this triangle by 36, you get a larger triangle with sides of 3x36 / 4x36 / 5x36 = 108 / 144 / 180 units revealing harmonics of Phi (108) and Speed of Light (144) and Half Circle (180 degrees). Then, by doubling these numbers again, if you multiply each side of this 3-4-5 triangle by 72, you get a larger triangle with sides of 3x72 / 4x72 / 5x72 = 216 / 288 / 360 units giving the celebrated harmonics of the Circle, which is the key to ancient time travel and implosive physics, the art of how to bend time and space non-destructively, using the timeless Harmonics of the Infinite Circle.